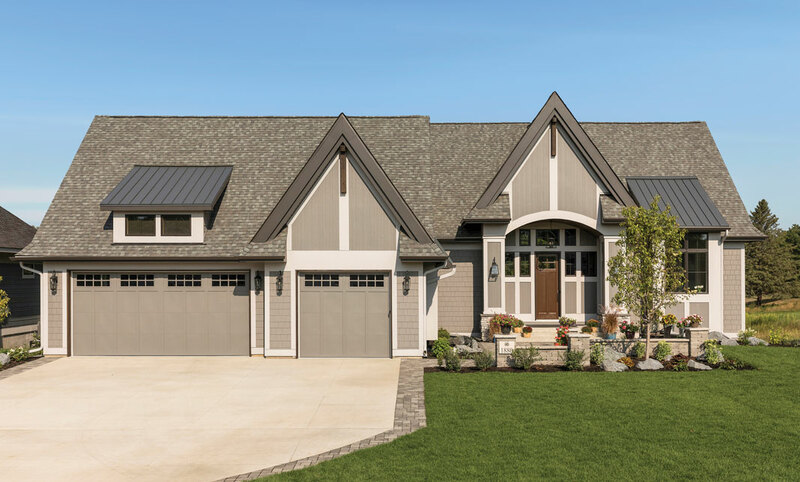 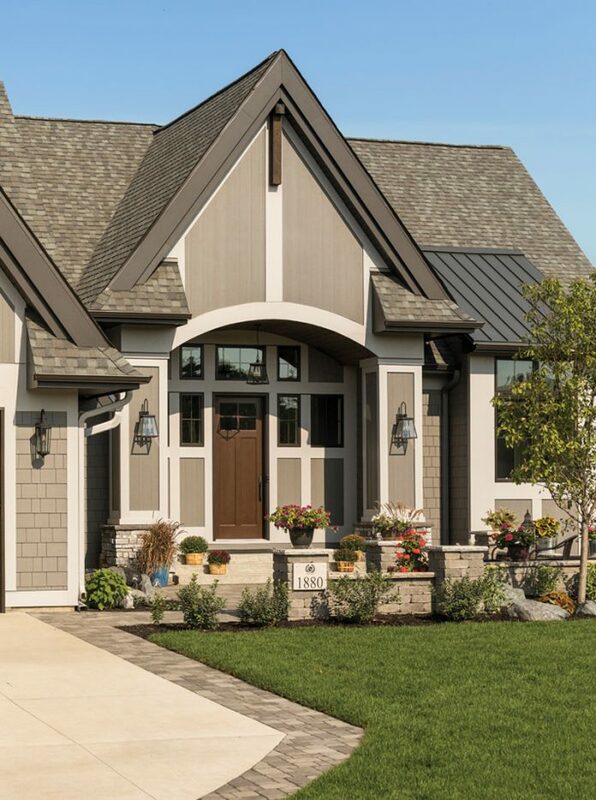 A charming paver courtyard with a water feature makes visitors feel right at home as they walk up to the door of this traditional cottage-inspired home. 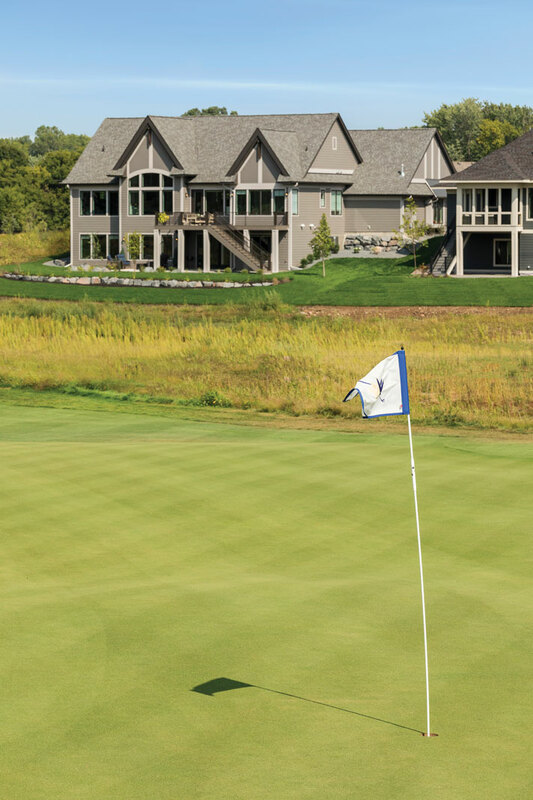 Once inside, the home’s open concept living area with its large windows takes full advantage of picturesque views of The Royal Club, an Arnold Palmer and Annika Sorenstam-designed championship golf course. 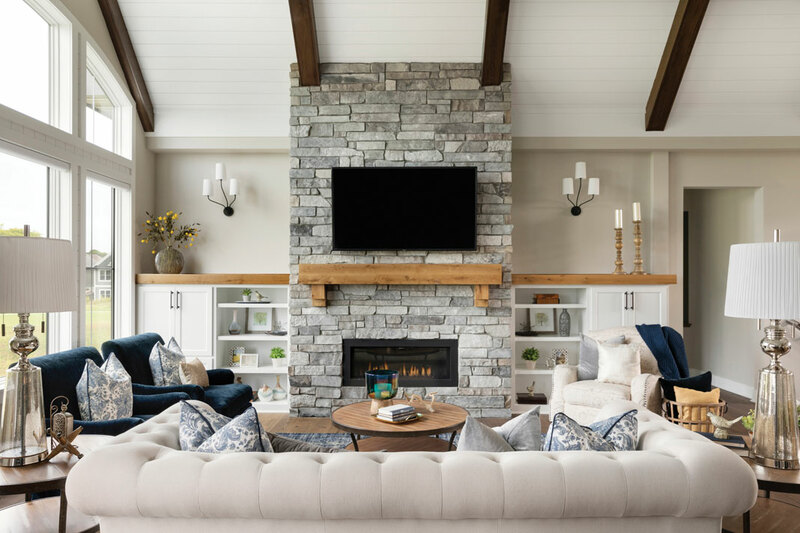 A stunning cathedral ceiling featuring white shiplap and dark wood beams defines the great room space, which features a natural stone fireplace, built-ins, and oak flooring. 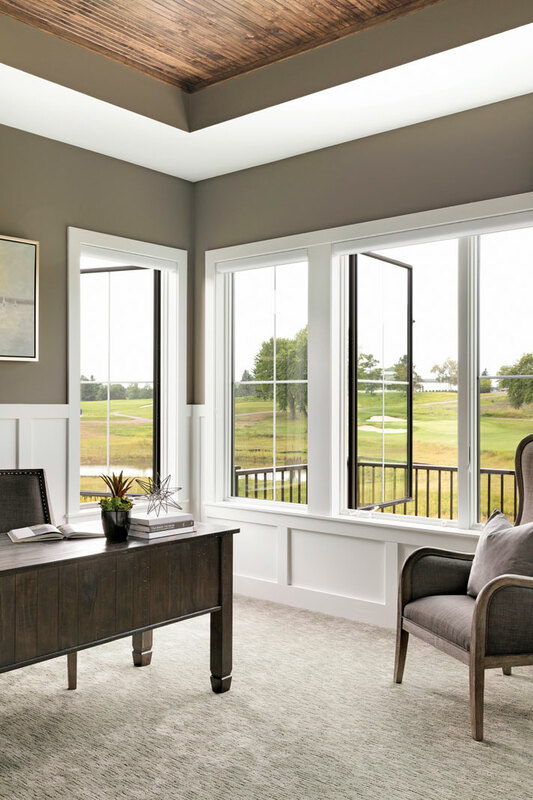 The windows in both the great room and adjacent dining area showcase the gently rolling hills outside. 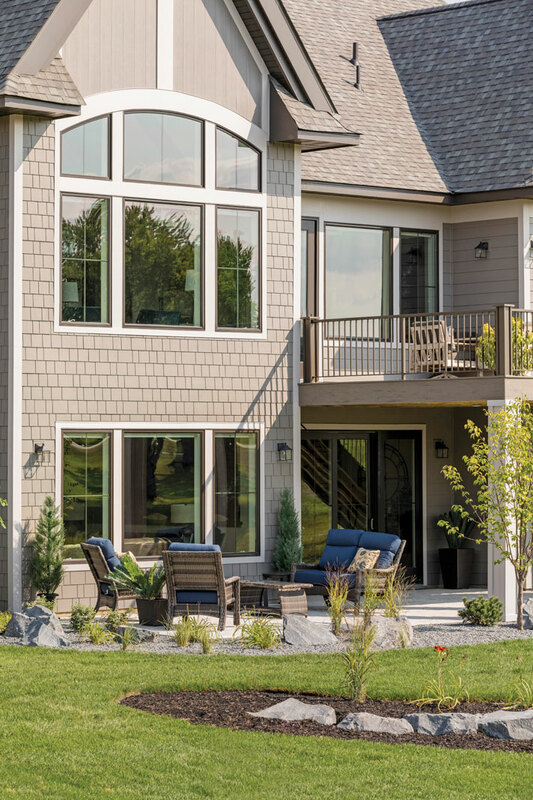 A spacious deck off the main floor is perfect for summer evening cookouts and spirited gatherings. 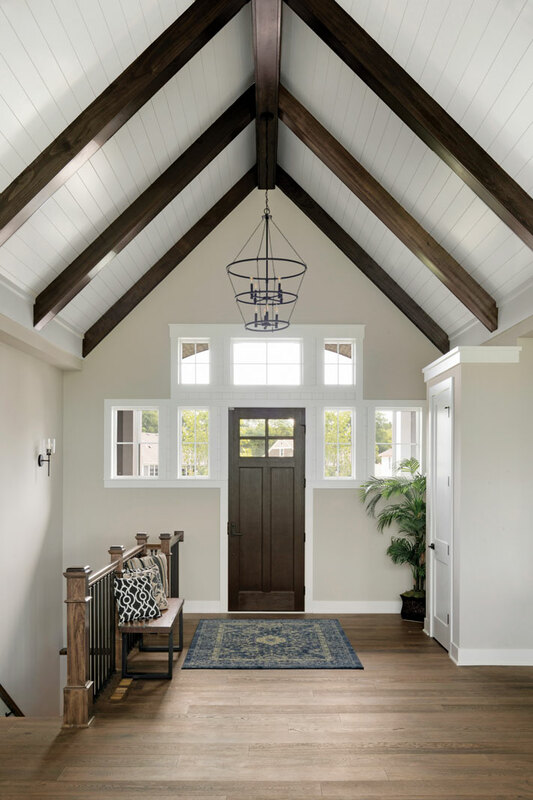 Dark-stained wood and oak details continue throughout the house. 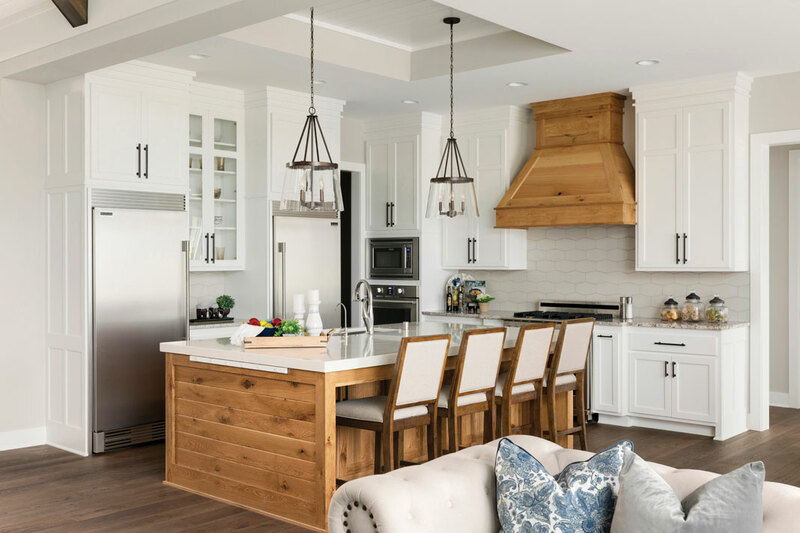 A large white oak island topped with light quartz anchors the kitchen, which includes a white oak range hood, granite countertops, and separate refrigerator and freezer with prep area in between. 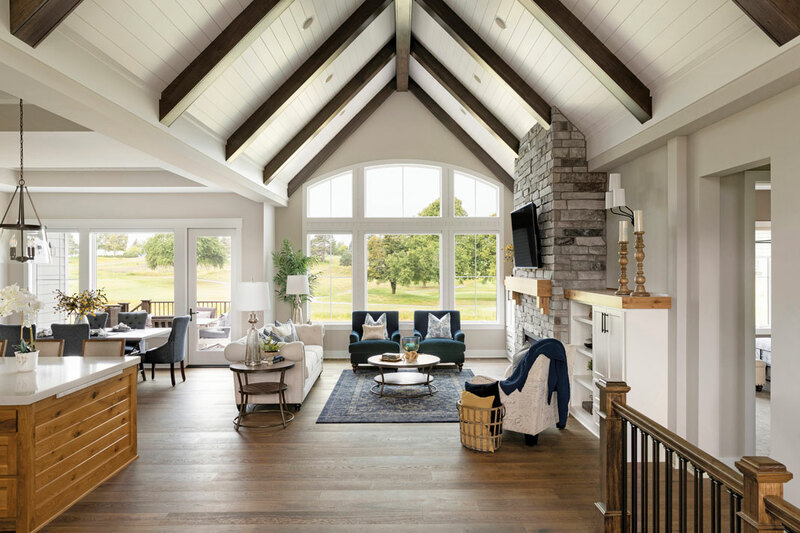 The master bedroom is a stunner with an eye-catching tiered ceiling that includes floating dark wood beams. 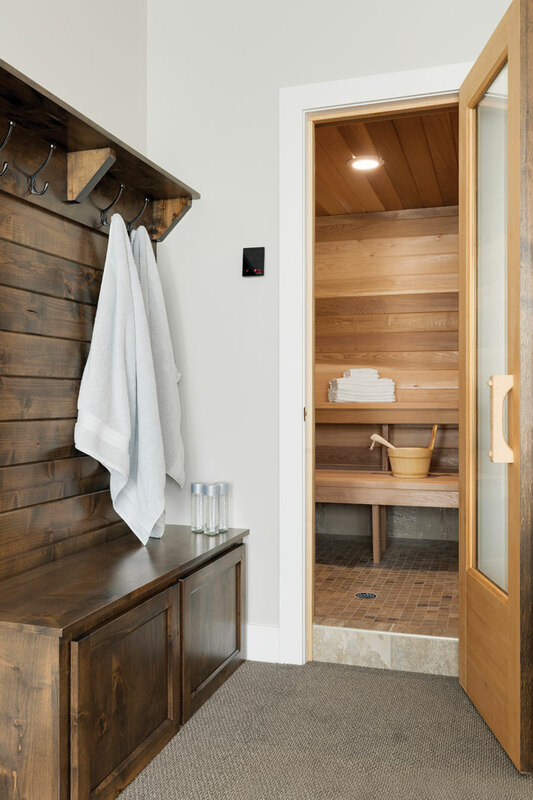 A sliding barn door adds a farmhouse touch and leads to two separate large walk-in closets right off the luxurious master bath with ceramic tiles, soaking tub, and soothing rain shower. 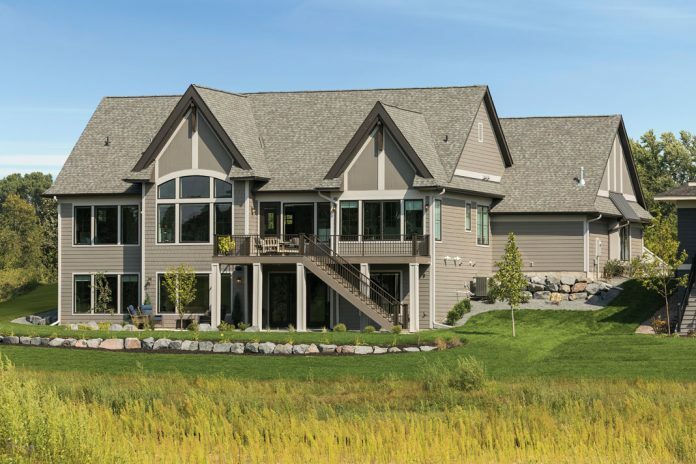 The lower level is an entertainer’s dream. 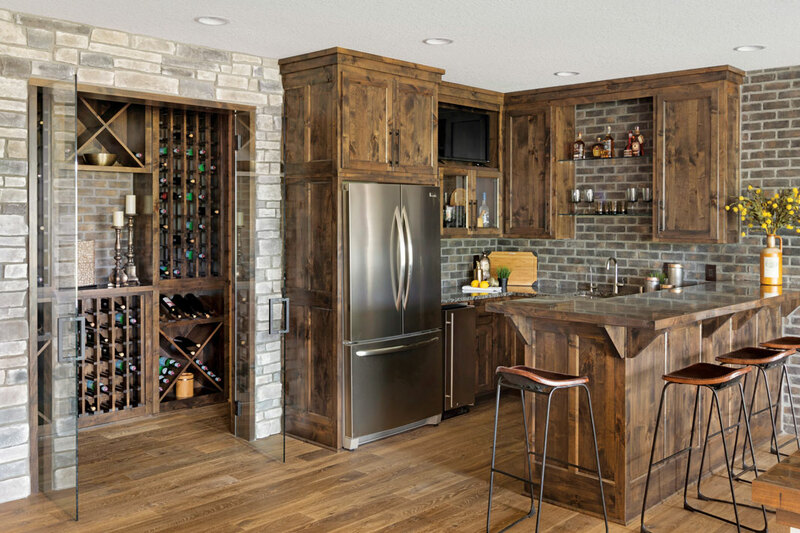 On one side of the stone entryway is a striking glassed-in wine cellar next to a wet bar across from a dining area that leads out to a sizable outdoor patio. 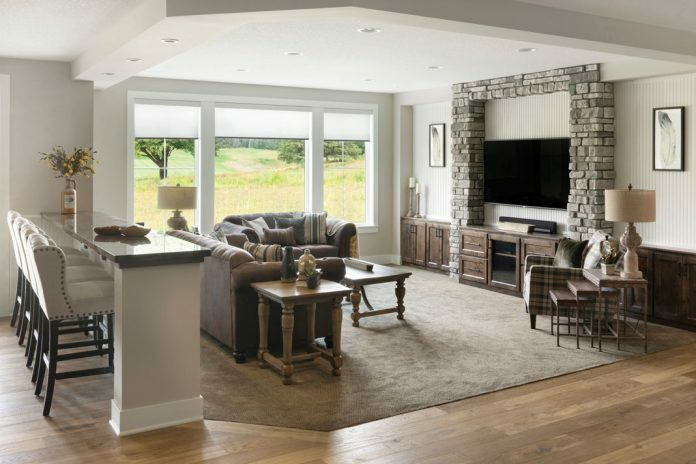 A bank of bar-inspired seating faces the inviting family room with stone fireplace and built-in cabinets. Along with two additional bedrooms, the lower level includes an exercise space, billiards room, and sauna.